Australia’s Jakarta phone-tapping: was it illegal? 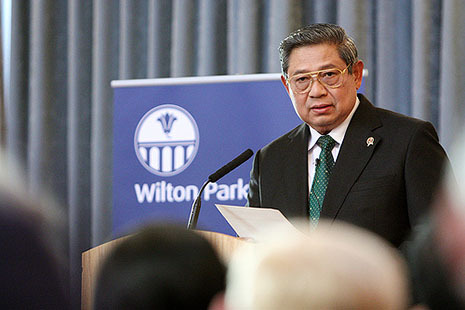 Tapping target: Indonesia’s president Susilo Bambang Yudhoyono. Was Dr Natalegawa right? The short answer is “partly”: the phone-tapping certainly violated Indonesian law, and possibly international law, but not Australian law. In Indonesia, as in most countries, the unauthorised interception of telecommunications is prohibited under domestic law (see, for example, article 31 of Indonesia’s Electronic Information and Transaction Law 2008 and the Telecommunications Act 1999). Assuming they were not authorised by the Indonesian government, the phone taps were therefore illegal under Indonesian law. Unlawful intercepts may also breach a right to privacy. Indonesian law includes no general, all-encompassing right of this kind; instead, a variety of legislative provisions protect particular kinds of personal information and the national constitution provides a rather vague guarantee of the “right to protection of his/herself, family, honour, dignity, and property.” It is at least arguable, therefore, that the phone-tapping violated the right to privacy of the individuals concerned under Indonesian law. 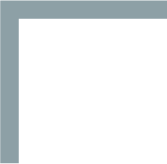 Australia’s Telecommunications (Interception and Access) Act 1979 also prohibits unauthorised phone-tapping, but this prohibition, not surprisingly, only applies to telecommunications networks within Australia. The phone-tapping has also been described in the media as “spying” or “espionage.” Exact definitions of espionage will vary, but it is broadly understood to involve the gathering of information about a state – usually its security or defence – by or on behalf of another state or a foreign organisation. Most countries have laws prohibiting espionage within their own borders: in Australia’s case, it is prohibited in the Criminal Code Act 1995 (Cth), section 91.1; in Indonesia’s case, in the Penal Code of Indonesia, articles 113–15; in Indonesian law, stealing documents and information – old-fashioned spying – is prohibited. Whether listening to and recording the telephone conversations of the wife of the Indonesian president amounts to espionage is doubtful, but it is clear that no Australian espionage law was broken. Beyond domestic laws, the potential sources of an international law against espionage would either be treaties or customary international law. But there are no multilateral treaties that prohibit espionage, and it is hard to believe there ever will be, given that every state in the world today either engages in espionage or similar activities, or would do so if it had the capacity and opportunity. Indeed, some regard spying as a sovereign duty of government, part of its obligation to protect its citizens and their interests. If it ever comes into existence, the mooted “no-spy” agreement between the United States and Germany will be very interesting to read. For the same reasons, espionage is unlikely to be prohibited by customary international law any time soon. Customary law evolves gradually, usually over a lengthy period, as states act consistently in a way that comes to acquire a sense of legal obligation. At present, states are acting in precisely the opposite way, and there is little prospect that they will suddenly change direction and abandon espionage and related activities. OTHER areas of international law might be relevant, however. The first is the principle of non-intervention in the domestic affairs of another state, a longstanding principle of customary international law. But it is generally accepted that to be unlawful, such intervention must be somehow coercive – there must be an element of one state trying to pressure another to act or not act in a certain way. So it is doubtful that the principle would be violated by foreign phone-tapping alone. Whether espionage violated the principle would depend on the circumstances, but it is certainly possible – if, for example, the activities went beyond the mere gathering of information to include more active interference in the target state’s affairs. Customary international law prohibits a state from exercising its authority, or undertaking state activities, in another state’s territory without the latter’s permission. It is arguable that phone-tapping, espionage and similar activities violate this principle: they are certainly state activities, carried out with (in this case) Australian government authority, in the territory of another state (Indonesia), without that state’s permission. This assumes, as media reports suggest, that the activities took place in Indonesia. If they took place elsewhere – in Australia, for example, by intercepting satellite communications to and from Indonesia – then the principle would not be violated. In that situation, however, the principle of non-intervention could still be violated. A third aspect of international law that might be relevant is the right to privacy, enshrined in several international human rights instruments, including the 1966 International Covenant on Civil and Political Rights (article 17), to which both Australia and Indonesia are parties. Still to be settled, however, is the extent to which a state is obliged to respect this right in the case of an individual outside the state. The current position (in cases before the European Court of Human Rights, such as Al-Skeini v United Kingdom, for example) seems to be that such rights extend only to those within a state’s territory or jurisdiction. None of the targets of the recent phone-tapping – nor of espionage more generally, in most cases – was within Australia’s territory or jurisdiction. But the right to digital privacy gained considerable political weight this week with a UN General Assembly committee condemning the possible “negative impact” on human rights of mass surveillance and interception of communications. 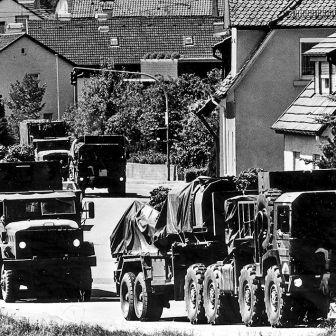 The original draft resolution, prepared by Germany and Brazil, stated that surveillance of communications could be a human rights violation, but this was watered down after lobbying by the United States and Australia, among others. The resolution will go to the full General Assembly next month. A final possibility arises if the espionage or phone-tapping is conducted by or from the Australian embassy in Indonesia. The Vienna Convention on Diplomatic Relations 1969, to which both Australia and Indonesia are parties, requires the state that sends a diplomatic mission (Australia, in this case) to respect the laws of the receiving state (Indonesia), and not to interfere in its internal affairs (article 41). It also forbids the use of the embassy premises “in any manner incompatible with the functions of the mission,” as set out in the Convention. One of these functions – in article 3(1)(d) – is “ascertaining by all lawful means conditions and developments in the receiving State, and reporting thereon to the Government of the sending State” (emphasis added). Use of the embassy to glean that information by unlawful means – as described above – would seem to be “incompatible” with this function, and therefore, if it has occurred, a contravention of article 41. ULTIMATELY, any remedies for Indonesia are likely to be political rather than legal. If it were able to identify and apprehend the individuals responsible for the phone-tapping with a view to prosecuting them under Indonesian domestic criminal law, Australia would immediately claim state immunity for them. As a matter of international law, Indonesia would be bound to respect that immunity. Diplomatic immunity would also apply to any individuals of diplomatic rank. Indonesia could complain through diplomatic channels of any violation of international law by Australia, but it couldn’t bring a claim in the International Court of Justice unless Australia expressly agreed: Indonesia has not submitted to the jurisdiction of the court under article 36(2) of its statute, and Australia’s own article 36(2) declaration only applies reciprocally. 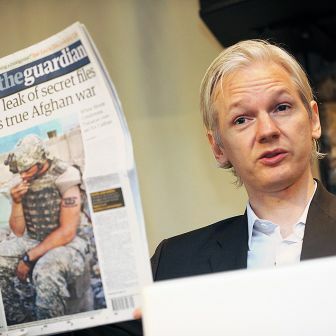 Essays & Reportage WikiLeaks deconstructed Rodney Tiffen 18 April 2019 The upsides and downsides of the organisation and its controversial founder Correspondents The fall and rise of German angst Klaus Neumann 16 April 2019 A decade ago, that distinctive national mood seemed to have died out. 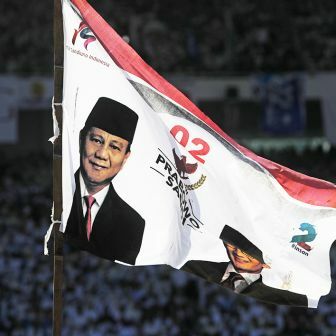 And then came the rise of far-right populism International Old strategy with a new twist Dave McCrae and Dirk Tomsa 15 April 2019 Why is the likely loser of the Indonesian election already crying foul? 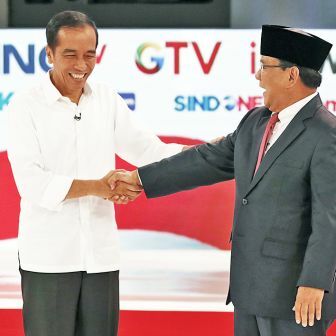 International Indonesia’s polarisation paradox Ross Tapsell 28 March 2019 Has social media created an artificial atmosphere around this year’s election? 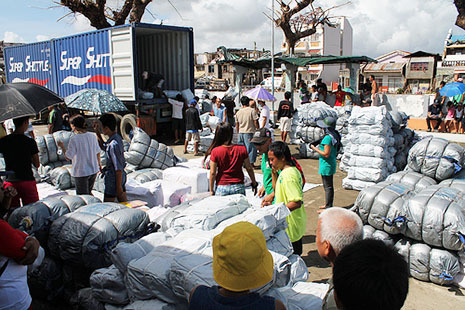 Filling a gap: aid arrives in typhoon-affected Tanunan.